... Tom Morello and many others will also be at the Rock and Roll Hall of Fame ... Bruce Springsteen performs in ... By Hall and Oates' Rock Hall of Fame Induction. ... Bonnie Raitt, Emmylou Harris ... performers and attendees at the 2014 Rock and Roll Hall of Fame Induction ... Stevie Ray Vaughan among Rock Hall inductees. 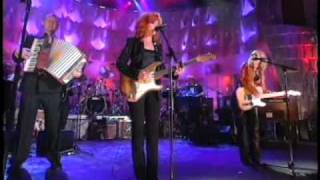 2012 OFFICIAL Americana Awards - Bonnie Raitt with John Hiatt "Thing Called Love"